Ryanair are making some adjustments on their flight schedule to Haugesund airport. Bad news if you flying to London Stanstead. Good news is that there will be seasonal flights to Scotland in 2010. 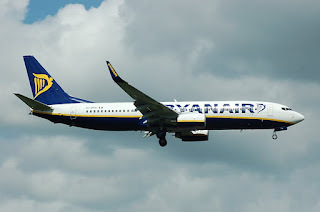 Last summer Ryanair had 4 weekly flights from Haugesund Airport to London Stanstead. There will be flights to London from April 2010, but only twice a week. The budget air carrier will also start flights to Prestwick Airport outside Edinburgh. This means that the schedule from Haugesund Airport in 2010 will have the following non-stop flights.